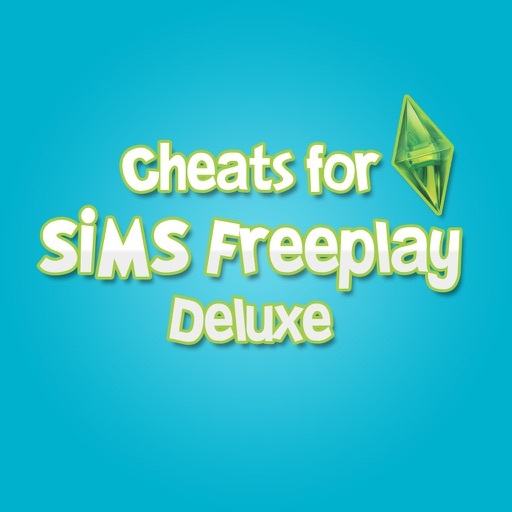 A complete cheats guide for The Sims Freeplay and for iOS. Find and access the cheat your looking for through the well-organized layout. This app is more than just and regular cheat app, try your skills with the quiz and improve your skills with the included trivia. The Deluxe version includes even more Cheats, Tips & Tricks and also the Trivia function! There is no Internet connection required to use this app. The developer does not take responsibility for lost data, and for cheats that do not work due to updates or other factors. This is an unofficial cheat and strategy app for The Sims Freeplay. This app is not endorsed or affiliated with Electronic Arts or The Sims trademark. The developer does not claim nor have the full right to some of the information in this app, this information is only used to show and convey in the app.